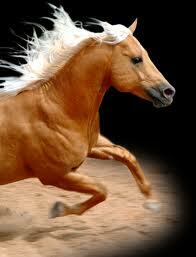 Palomino, a Color Not a Breed? A mother and her children were driving the country roads in their hometown and passed a herd of horses. One of the children yelled, “Mom, STOP!” She slowed down the car and asked what was wrong. The young boy asked, “Why does that horse stand out?” The mother laughed and said, “Sweetie, that is a Palomino horse and they almost always stand out when they are around other horses!” Palomino horses for sale are one of the prettiest breeds of horses! But did you know that it’s really not a breed and that Palomino is just a color? They range in color from a dark gold to a light taffy, but always have a flaxen or white mane and tail. A Palomino can be any type of breed but to be registered with the Palomino Horse Breeders of America, they must have the Palomino colors and must stand 14 to 17 hands tall. They may also only have white on them below the knee and face! Where Palomino’s come from is unknown, however there are paintings that believe they come from ancient Europe and Asia. Queen Isabella was said to have a hundred Palominos in the royal stable, and at that time nobody was supposed to own one. History says that she sent a Palomino stallion and five mares to what is now Mexico. They then started moving North into Texas and California. 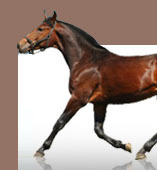 Today, there are many different horse shows and competitions for only registered Palomino horses. The biggest event for Palomino horses, known as the PHBA World Champion Horse Show, is held every year during July in Tulsa, Oklahoma. Each year around 850 horses and their riders from the United States, Canada and Mexico compete for prizes totaling $500,000. Palominos are greatly appreciated for their agility and versatility. They make wonderful ranch horses and can be used for trail riding, showings, jumping, and just to have a horses! They are very easily trained and can be taught to do some tricks. If they have been treated well, they will love people and show a lot of affections. Palominos are a favorite of horsemen because their beauty causes them to stand out among the different horse breeds and they easily become their owner’s best friend.